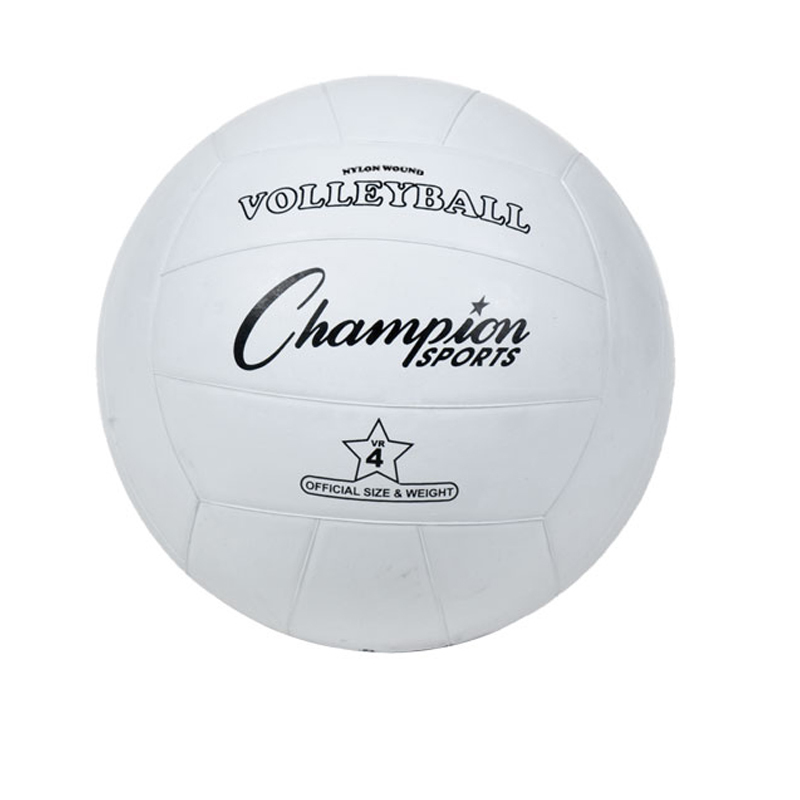 Champion Sports Official Size Rubber Volleyball Volleyball. Sports Facilities Group Inc. 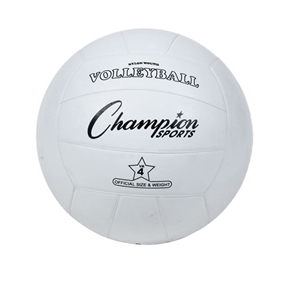 Designed for outdoor use, the Champion Sports Official Size Rubber Volleyball is constructed with a rubber cover, which ensures the ball will withstand regular use on playgrounds or sports fields. With a nylon-wound butyl bladder, this volleyball boasts superior air retention, keeping it inflated after consistent use on hard volleyball courts.